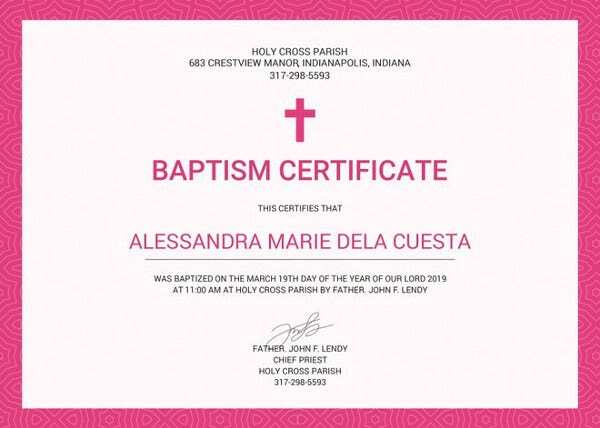 All newborns that are being blessed in a church or any religious areas to begin their life in their chosen religion by their parents or by themselves if they grew old must have a baptism certificate. 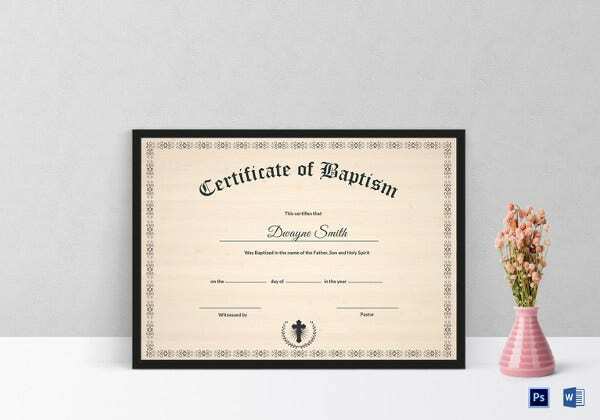 It is the record that will confirm that they are member of that religious group. 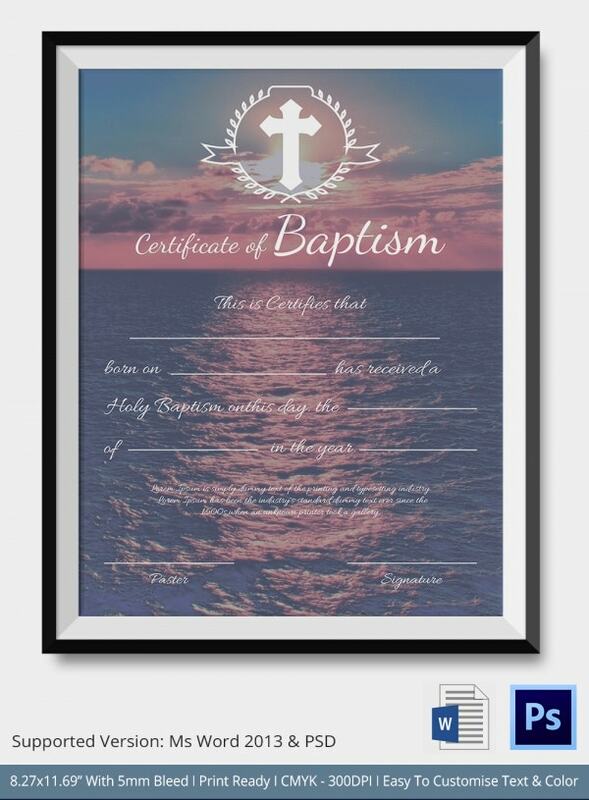 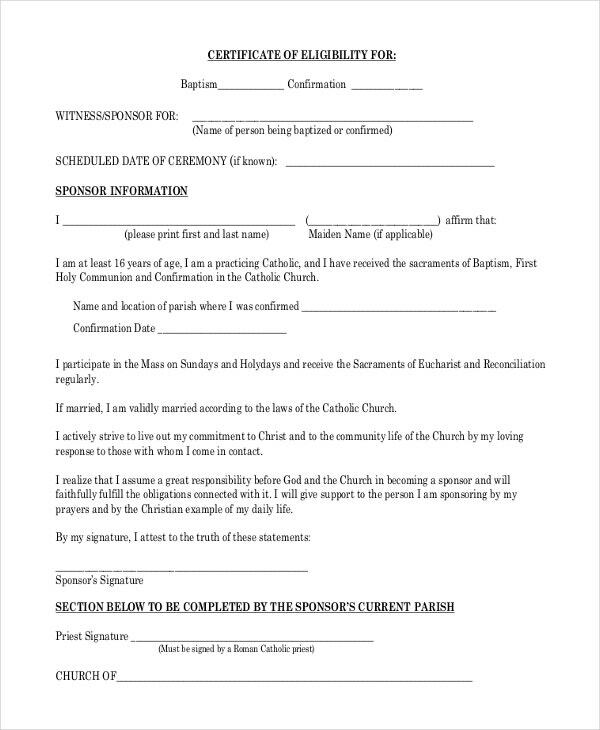 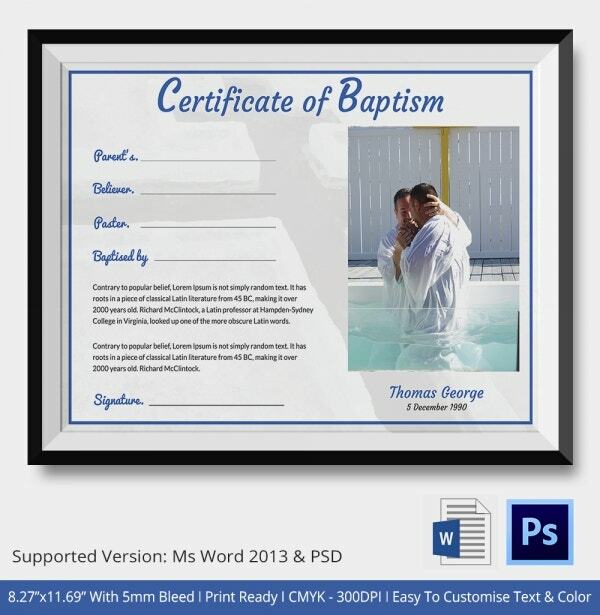 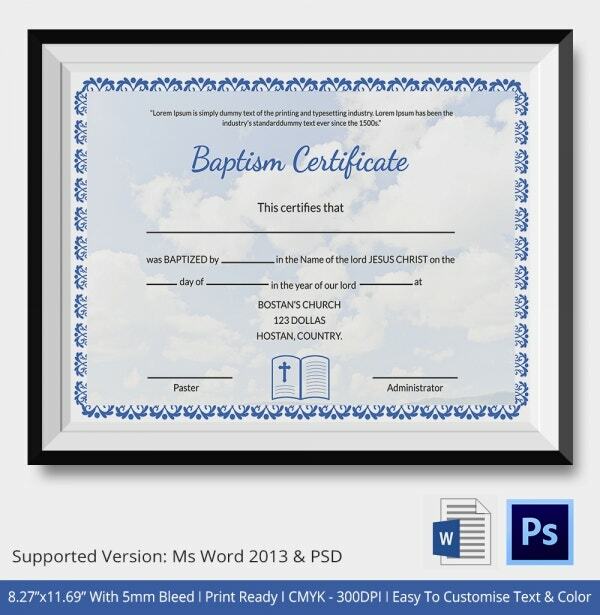 With the free certificate template that can be yours in Microsoft word, excel and pdf file, every administrator of a church or religious sect can make a baptismal certificate for all of their newly blessed members. 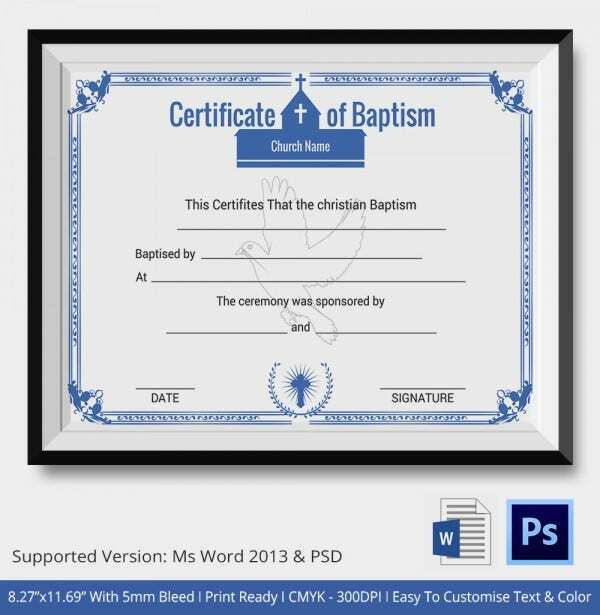 You may also see Graduation Certificate Templates. 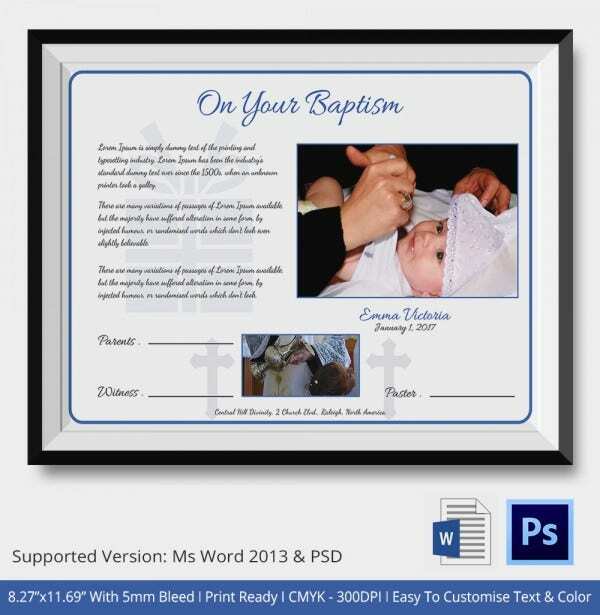 The Baptism Certificate Template is a great memory bank for commemorating your loved ones or a family member’s baptism ceremony. 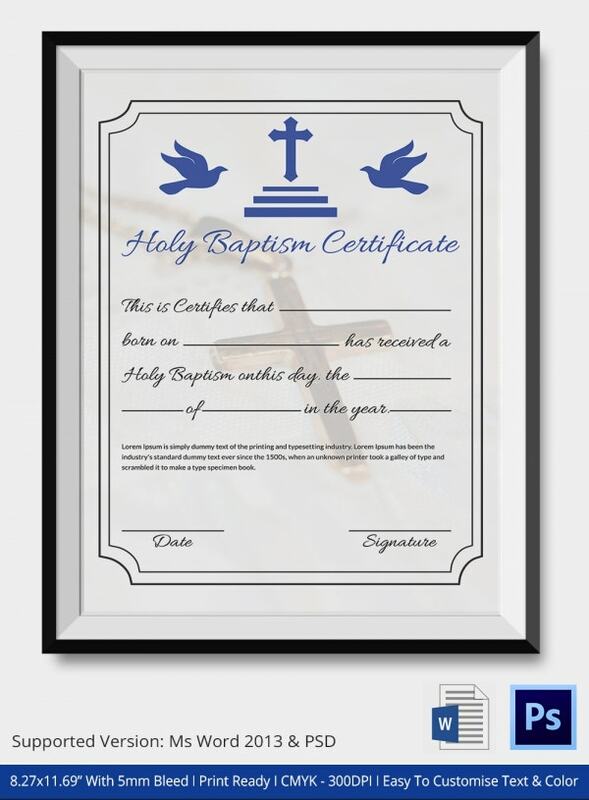 You can store it for many years to come and it can be a valuable document when required for many legal purposes too. 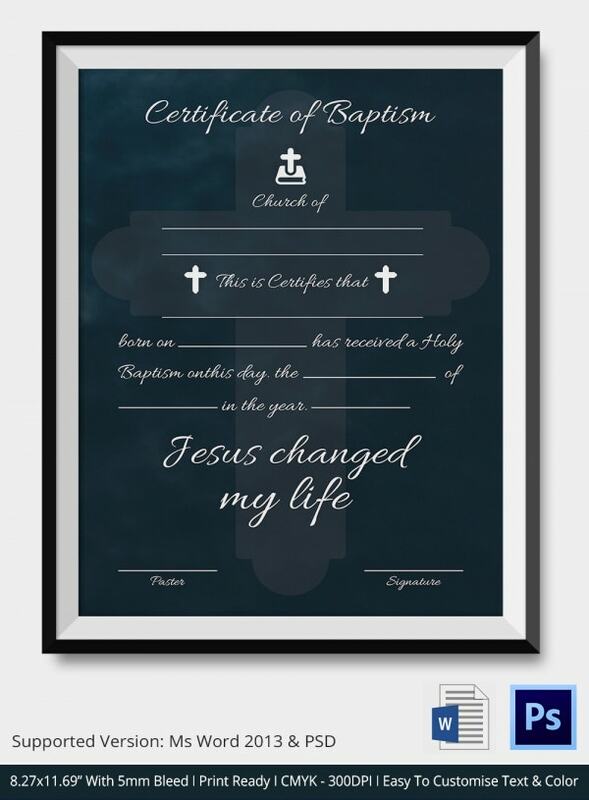 It is easy to print and save a soft copy in your computer for future use. 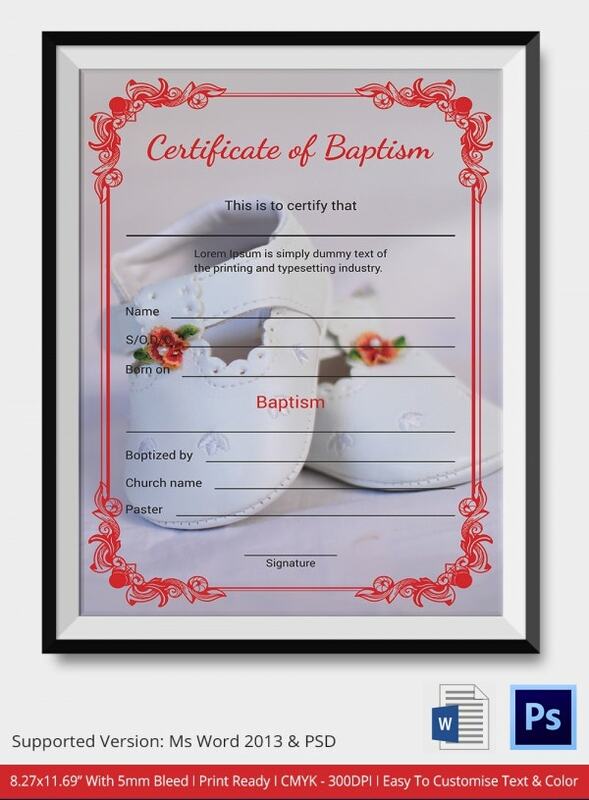 Your baby or your spouse will surely have some beautiful memories attached to this document. 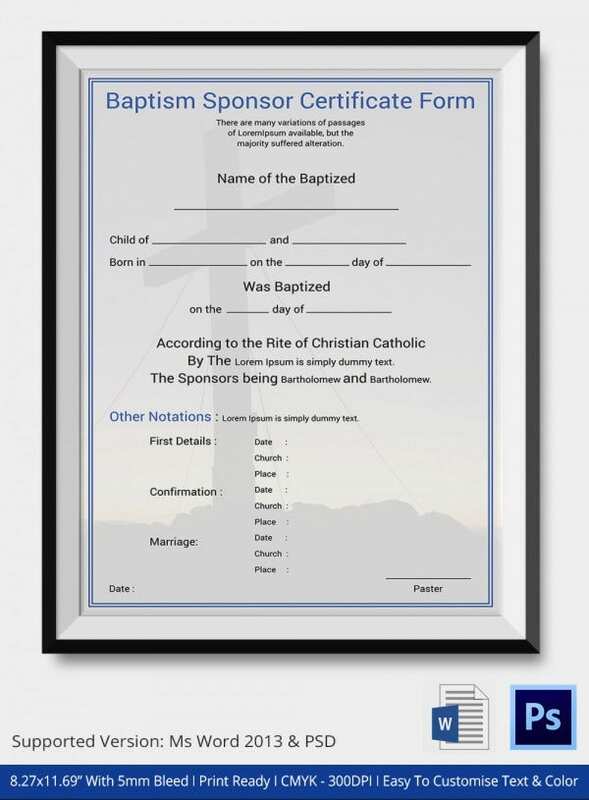 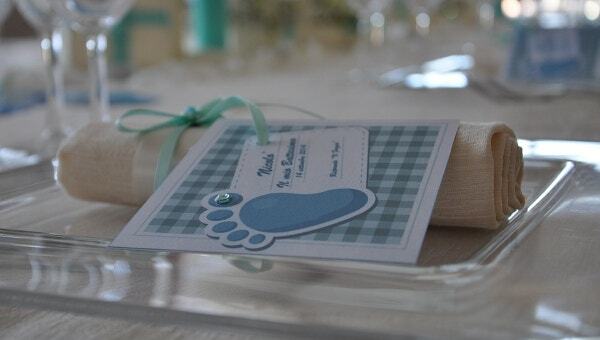 It has features that can provide multiple production of a certificate where they can just enter the details of the baptismal and be used for a long time. 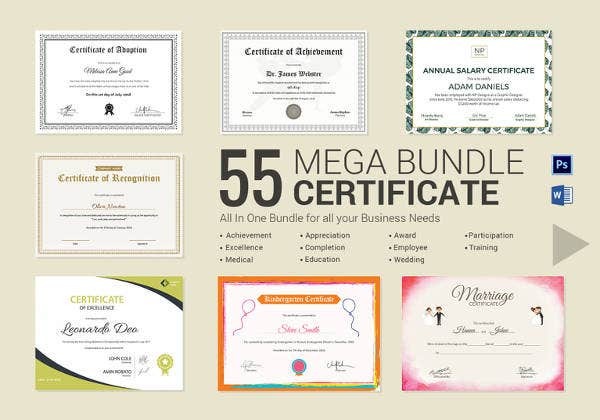 They can adjust any arrangement if they want in the certificate so it can catch up with the latest trends for a legal certificate.